Harry is not so sure about that. After all, he just got back his essay from his teacher, and there are a lot of red marks on it. When people read a book, of course, the most important things to them are the story and its elements. They say, “Oh, that’s quite an awesome twist!” or maybe “The character development is remarkable!” They praise the author’s ability to string words together to paint pretty pictures and set sublime scenes. What they don’t say is “Wow, that’s a nice use of the em dash!” or “The italicization of this phrase is on point!” They don’t do that because, well, it’s not really relevant to the plot now, right? See, when writers submit their work, they often overlook tiny details. These details turn out to be important in the long run because publishers—those who make it possible for a work to be actually available for mass consumption—are particular about them. Thus, it is recommended that writers have someone to check over their work and see if they made mistakes. This someone is the proofreader, who makes sure that the writer’s work will be perfectly ready for printing. They correct simple grammatical errors. There can never be too many reminders that though they’re their own person, the rules are there for a reason. There is a world of difference between “Let’s eat children” and “Let’s eat, children.” Seriously, punctuations save lives. A whole is not a hole, and threw is not through. A poll is not pole, and two cannot be too. They ensure consistency in page numbers. A Roman walks into a bar. He raises his hand, forming a peace sign with his pointer finger and middle finger. He tells the barkeep, “Five shots of whiskey, please.” One, two, three are not i, ii, iii. They ensure the table of contents really has what it is supposed to contain. The table of contents should be checked against the front matter, body, and end matter so that when the readers look for something, they will see it without a problem. They ensure headers, labels, and illustrations correspond with each other and the text. Illustrations and tables are preferably described with headers and labels so that the readers can immediately comprehend what is being shown. This is especially true for academic papers. They ensure the appropriate elements, such as illustrations and graphs, appear in the correct order. Elements of the manuscript should be logically and appropriately ordered so that there is a systematic flow that the readers will not have trouble following. They watch out for the typography and layout. They take note of omissions and discrepancies. This helps in making the copy look more organized and easier to read. However, major typography and layout changes fall under specialist skills not covered by the proofreader’s job. They take note of inconsistencies in design and text. Columns and page breaks are eliminated or corrected as appropriate. As with the typography and layout, however, major design changes fall under specialist skills not covered by the proofreader’s job. They apply style guide rules on capitalization, hyphenation, and other relevant issues. Proofreaders are ideally trained in several style guides, such as CMS, APA, and MLA. They ensure that the writer’s style preference is consistently and correctly applied throughout the manuscript. They recommend recasts if a phrase can be made clearer. “I draw like Michelangelo in the Sistine Chapel” does not make much sense. “I draw like Michelangelo did in the Sistine Chapel” does. They check the context upon which the manuscript is based. They take note of the setting and historical background so that unwanted inaccuracies can be avoided. They make sure that what the writer is saying—especially in nonfictional works—is accurate. Cross-referencing is sometimes called for so that there will be no gaffes. They offer a fresh perspective that can see what the writers cannot. They note whether the writers have included everything they have to say and whether any details have been missed. They ensure that the manuscript is clean. And by clean, they mean that no errors can be seen and that the manuscript is in a state where it is the best it can be. 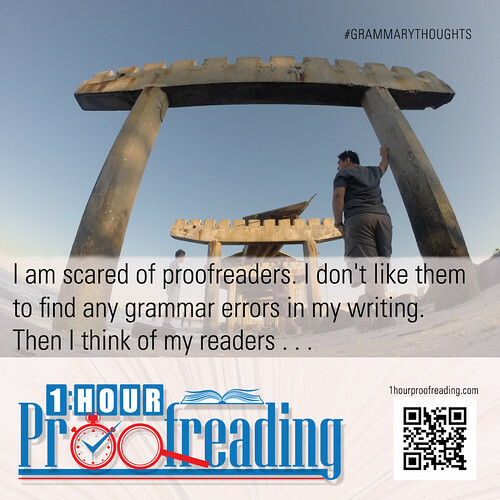 Proofreaders are known just to the writers, editors, and publishers and are generally invisible to the readers. However, their services are valuable; without them, books and other printed materials will surely be full of mistakes, minor or otherwise. Even the best writers are not immune to these mistakes. This was the case for the Bard himself, William Shakespeare. Did you know that his First Folio had over twenty thousand typographical errors? That is roughly equivalent to 2.25 percent of the volume’s total word count! 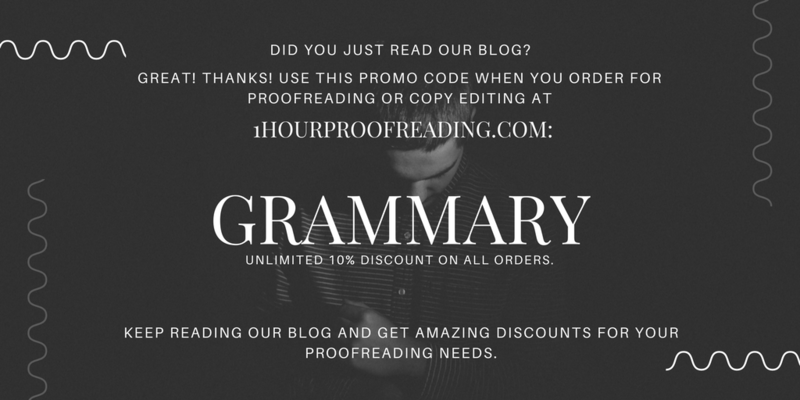 Do you have burning questions about how proofreaders can improve your manuscripts? Do you feel unsure of your manuscript’s current status? Worry not! 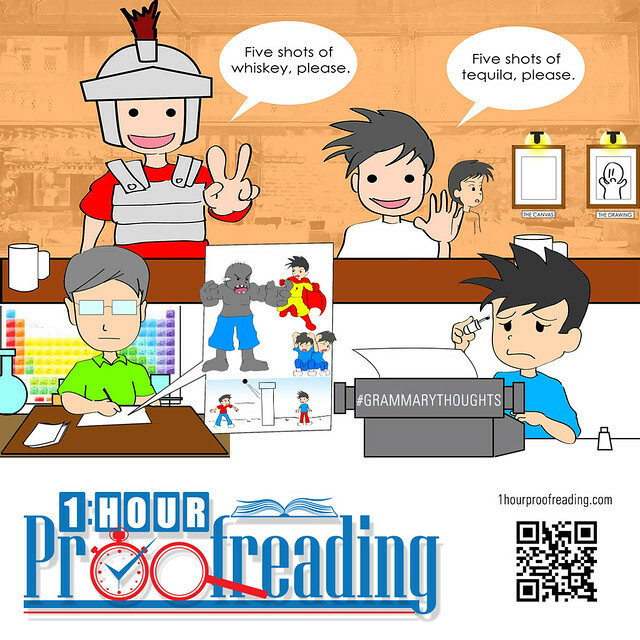 Drop us a line at 1hourproofreading.com and we’ll be sure to help you out.